Here are some of the creative ways six ONTRAPORT users are optimizing their membership sites. Many ONTRAPORT users have realized the potential of membership sites, and we’ve been pleasantly surprised to discover some of the innovative ways they’ve utilized ONTRAPORT’s features to manage and enhance their membership site. Gigi Guides is a site that provides members with curated local expertise to make traveling in Italy a unique cultural experience. 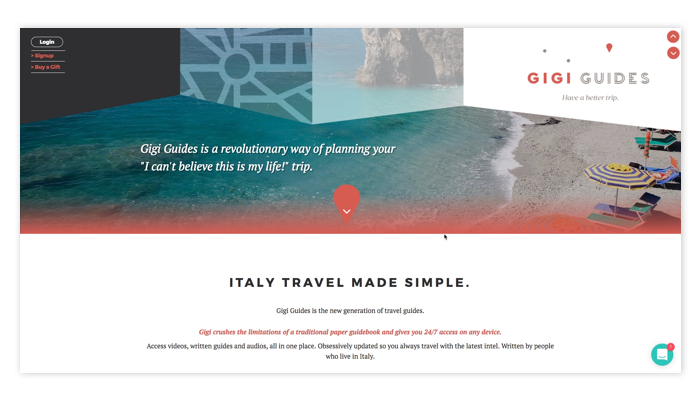 Because travelers often have a companion, Bianca and her team wanted to make sure her clients could share access to Gigi Guides with a friend. The team uses ONTRAPORT to allow two contact records to be created with one purchase. The friend then receives a follow-up series of emails, beginning with an email saying their friend bought them a gift. “We’ve never seen anyone else do this with a member site, and we had to invent the process,” Bianca said, as they used the ONTRAPORT API to ping a URL. Bianca also sends pre-trip emails, triggered at the appropriate time based on the date of the upcoming trip. For example, if a member has an upcoming trip to Rome, she’ll send out an email reminder two weeks in advance to make restaurant reservations and an email one week in advance with packing tips. 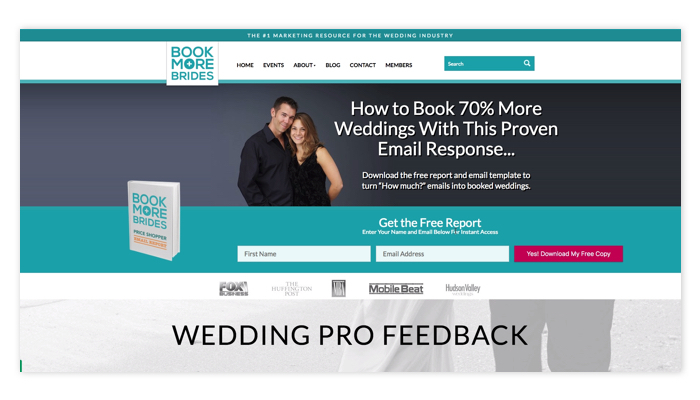 Book More Brides helps wedding professionals (photographers, DJs, wedding planners, etc.) market and promote themselves to fill up their booking calendar and increase their income. Jeff and Stephanie use the ability to drip release content to keep members heavily engaged over time. They also email weekly “action challenges” and reminders of the new content that’s to come. Using ONTRAPORT to generate referral links and automate the entire referral process, the Padovanis significantly grew their list. They were also able to hone in on the hottest prospects, based on their actions, and single them out for special offers using ONTRAPORT’s rules. They could segment leads and organize campaigns around specific interests. 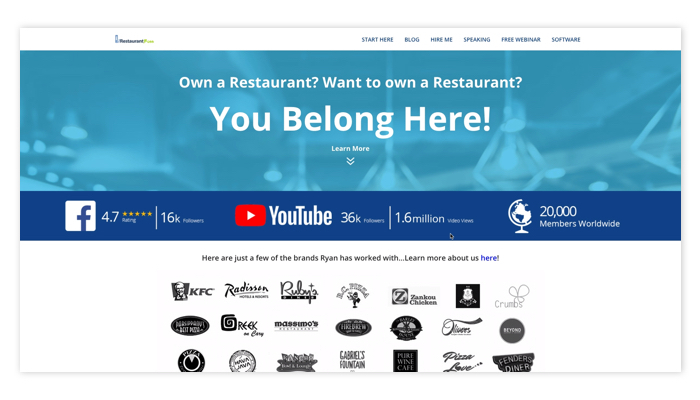 The Restaurant Boss provides online resources for restaurant owners to better operate their restaurant and train their staff. By showing all members who log in to the site everything that’s offered via the site, even if they haven’t purchased access to it all, they’re more likely to be intrigued to purchase higher levels of membership or other upsell offers. Ryan also uses an indoctrination campaign where popular blog posts have a lead magnet within requiring email opt-in. These leads are then segmented based on the lead magnet to which they opted in. Each lead magnet then leads to a low-cost, high-value tripwire. 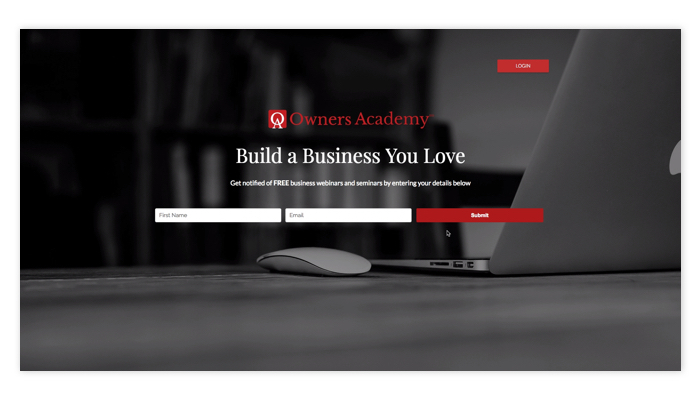 Owners Academy walks people through the steps needed to build a business they love and is made up of two parts: courses and community. Matthew attributes the site’s success to the campaigns and emails he can set up in ONTRAPORT. After members successfully sign up and pay, they’re added to the course email series and get one email a week for each module. In addition to these emails, members stay engaged thanks to weekly emails encouraging them to post in the “accountability” forum about the one thing they plan on accomplishing that week. Matthew also sends broadcast emails highlighting interesting successes that were posted, using ONTRAPORT to provide members with the option to get updates every time something is posted in a forum. Another favorite feature of his is the ability to create landing pages in ONTRAPORT which “especially come in handy” when he opens and closes registrations so he can have the page redirected or unpublished. He also praises the ability to host videos and take payments on any landing page. 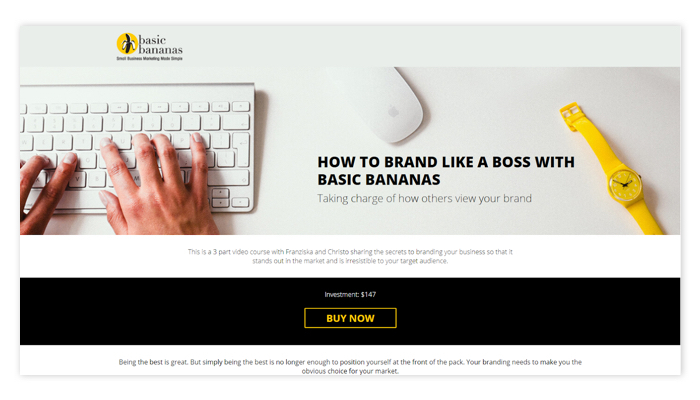 Basic Bananas gives business owners marketing expertise at their fingertips. Christo and Franziska welcome new members with an email series including videos to build familiarity and show new members how to get the most of their membership. Using the contact information stored in ONTRAPORT’s CRM, they also send a welcome pack by post so their members get an awesome gift box to truly feel welcomed by their community. The automated list segmentation abilities in ONTRAPORT play a key role in Basic Bananas’ sales and marketing funnels. The team runs lots of events, so they built a campaign within ONTRAPORT to engage their traffic, register people (including collecting payment) and send automated reminders. 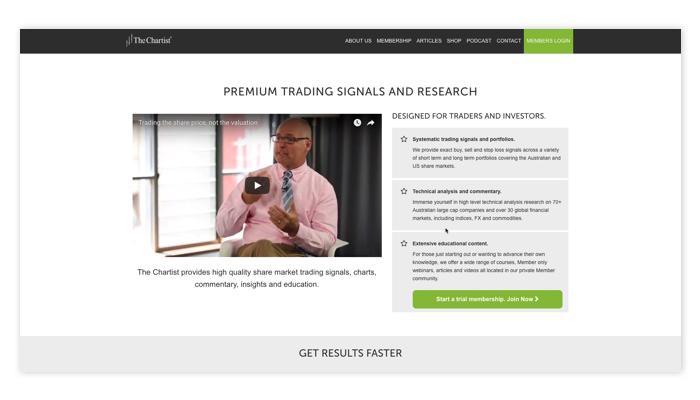 The Chartist simplifies the trading and investment process for busy people by providing strategies for the Australian and US stock markets, trading education, and an active community forum for members. Nick and Trish use ONTRAPORT for almost every aspect of their membership site. They offer a two-week trial and use an onboarding campaign to remind trial participants when the end of the trial is near. Every day, they update their trading advice based on the market and use ONTRAPORT to email members reminding them to log in and view the day’s exclusive trade recommendations. Trish and Nick also tie their PR efforts into ONTRAPORT. They use an ONTRApage to capture leads who listen to Nick’s popular podcast. After providing their email addresses in exchange for a free ebook, the listeners then opt in and are placed on a nurturing campaign. “He did one podcast with 45,000 listeners more than 12 months ago, and we’re still getting people every day opting in from that,” Trish said. Originally from the Blue Ridge Mountains in Virginia, Content Marketing Strategist, Camille Smith came out to California to attend UCSB and fell in love with Santa Barbara’s perfect mountain to ocean ratio. During her time in college, Camille also worked on the growth marketing teams for several technology companies. When she’s not putting her Communication degree to use at work, she’s using her minor in French to remind everyone the correct pronunciation of her name à la française (pronounced cah-mee, not kah-meal).